Do you use Facebook? Of course you do. And so do 1.7 billion people every month. That's the latest user figure from the social network, which released its Q2 earnings report today. As has been the case for many quarters now, Facebook is doing quite well for itself. Numbers continue to go up, it's making more money per user, and it continues to beat analysts expectations, which always makes Wall Street happy. Its user growth in regions where it's available will stagnant, but the fact that Facebook is growing how much it makes per user, increasing ad revenue (mobile ad revenue was up 81% year-over-year) and is already thinking about how it can get more users - namely, by bringing the internet to more people - is a tremendous sign for its future. Is Facebook truly unstoppable? There are no guarantees in life, but it will take a lot to knock the company off its game. So, what's the secret to Facebook's success? While smart execution of its core products is no doubt a factor in Facebook's continued growth, video is now the major driver for the social network, and its No. 1 priority moving forward. 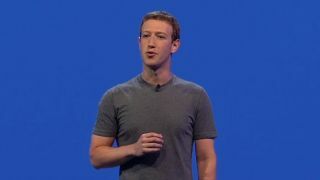 "We're particularly pleased with our progress in video as we move towards a world where video is at the heart of all our services," CEO Mark Zuckerberg said in the company's earnings release. He backed that up on a call with analysts, saying the "big theme" Facebook's working to execute is "to become video first." Social phenomenon like Chewbacca Mom attest to Facebook's success in feeding videos for pure entertainment, while videos of heavier and sometimes graphic and tragic subject matter, such as the death of Philando Castile and attack on police officers in Dallas, Texas, show "how live [video] can shine a light on important moments as they happen," Zuckerberg said. Video is the focus of just about every social platform right now. Twitter laid out its hopes for live video during its earnings call yesterday, but, so far, Facebook has the lead on drawing in users - and advertisers - with video. That's not to say it's not facing challenges, especially on mobile. Zuckerberg said that on mobile, users have a number of apps and services to choose from, including YouTube, live.ly, musical.ly, and Snapchat, and each offers different levels of video sharing, from 1-on-1 private conversations to fully public that meet different needs. It's a tough landscape, but Zuckerberg indicated the company will focus on video production as one way to gain a leg up on competitors. It just made its Surround 360 degree camera open source, so expect more devices, tools and services centered around video from Facebook over time.